Reminder - This month's Virtual Tasting is coming up Wednesday at 7pm Pacific. Read about how to participate here. 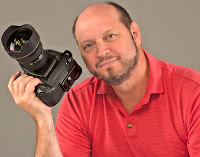 I am pleased to announce that photographer and writer Richard Duval will be a regular contributor to this site. Richard Duval’s world revolves around the three critical Ps – photography, pizza, and piano. Culled from his frequent travels, his wine, scenic and landscape images are found on note cards, galleries, and calendars, and as stock photography. His work is often featured in Washington Tasting Room magazine, the Washington Wine Guide, Nature Photographer, and Northwest Travel Magazine among others and his assignments include Holland America Line, Microsoft and Vermont Life. Woven into this texture is his endless pursuit of perfecting the art of Neapolitan pizza making by evoking the traditions and practices of old world Naples. In between photo sessions and pizza tossing, Duval's main love is the piano. His CD “Notes to Myself” features his intimate and original musical stories. He lives near Mill Creek with his wife Leslee and Brunello, the wine dog. See his wine work at www.vinelines.com and on Facebook at Duval Images. Look for the first image in a monthly series from Duval called ‘Pic of the Vine’ later today. Very cool addition to Washington wine industry's premier blog / web site. Welcome, Richard, and congratulations, Sean!